Beachfront House On Mar Menor Suitable For Everyone, Free Wifi. A holiday home set in a Spanish village with everything you need for a family break nearby. Only 50m to a sandy beach, stunning views; free Wi Fi. Rooms all on one level, safely enclosed terraces. A Modern style house on 2 floors with a rear patio area as well its own roof terrace and shared swimming pool. The beach is 200 meters away. 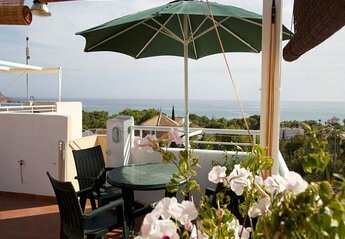 Lovely apartment with two bedrooms, views of the Mar menor to the front and a national park to the rear. Communial pool.